At Pick Up Sticks we love this quote. It’s true that there is nothing in the world quite like being a mother. The way we feel about our own mothers is another matter completely – they are the places where our heart first found itself. Mother’s Day gives us the perfect opportunity to show them what they mean to us. Beyond the sentiment of motherhood, there is the fact that as retailers, Mother’s Day give us a great way to honor the incredible women in our life. But better than that, it’s an amazing retail opportunity. Research shows that beyond the winter holidays (Christmas, Hanukah, Kwanza), Mother’s Day is the second largest consumer spending holiday. According to the National Retail Foundation, the average person will spend $126.90 this year on Mother’s Day gifts. Total spending is expected to exceed $14.6 million (www.nrf.com). We love those numbers! You’re a smart retailer. You already know that Mother’s Day brings an entirely new (and frequently bewildered) crowd of buyers into your retail space – husbands with no clue, children with a pocketful of change, even teenagers in a hurry. 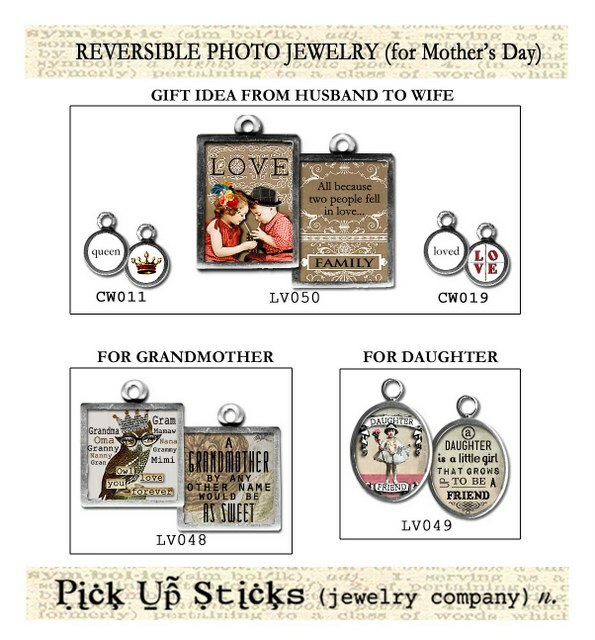 Ordering Pick Up Sticks charms geared specifically to Mother’s Day provides you with a quick and very affordable way to turn all those lookers into buyers. Check out these designs and beef up your inventory with several of each. 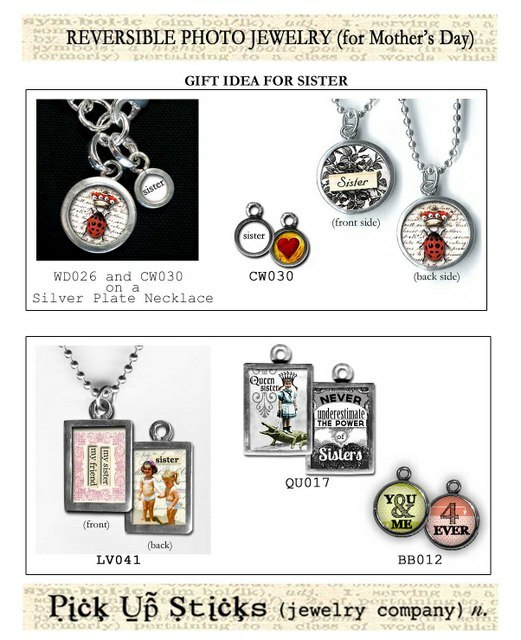 If you can, create display space near your cash register with loose Mother’s Day charms for those buyers who simply can’t make a decision about how best to treat Mom. 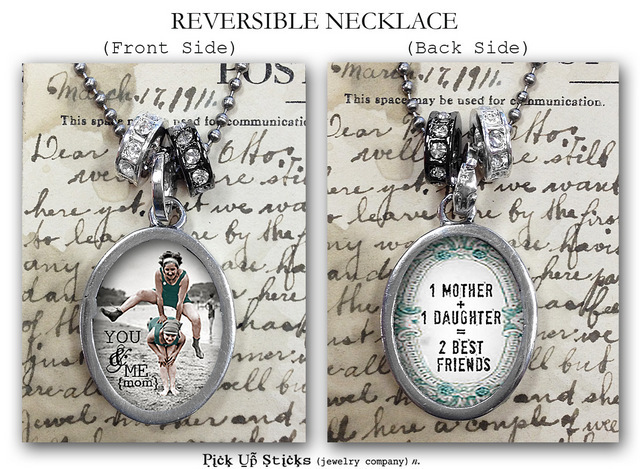 Put together several necklaces for staff to wear to give your customers great buying ideas. Tap into the national buying trend this Mother’s Day. And give your customers a whimsical, sweet and sentimental way to honor the amazing Moms in their lives! Make Easter Charming with Pick Up Sticks! Easter offers us several things, depending on our viewpoints. For some it’s a holiday devoted to a celebration of spirituality. For others, it’s a great excuse for gift-giving (we figure you’re never too old for an Easter basket). It gives us a reason to dress in our absolute best finery (white shoes included). For some of us, it’s the only time of year we wear a hat to church. Whatever your inclination, Pick Up Sticks has charms to help you celebrate the Christian holiday, load up your best friend’s Easter basket AND accessorize that Easter bonnet. 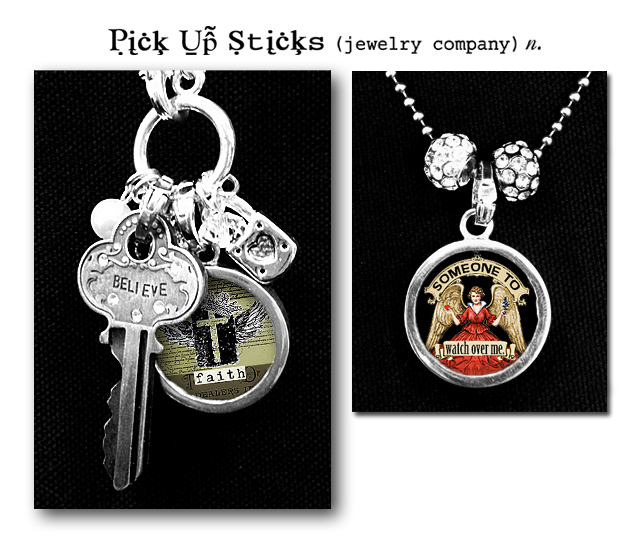 Check out these combinations of Pick Up Sticks charms, trinkets and chains. 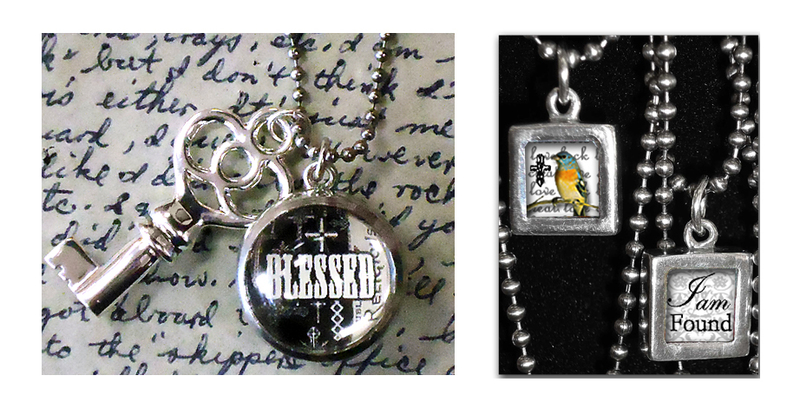 There’s still plenty of time to order for your retail customers and help them choose the perfect Easter necklace. If you’re not a wholesale customer, check the Pick Up Sticks website for a retailer near you. And Happy Easter from Pick Up Sticks! With Easter less than a month away, Pick Up Sticks has created a uniquely hip assortment of photo charms and trinkets to encourage you and remind you to take a moment each day to celebrate all that you believe. Instead of a chocolate bunny or a box of Peeps, fill the baskets of the women who inspire you with our beautiful but fun messages of faith and life’s blessings. They’re sure to cherish these long after the holiday is over, and the universal truth of each piece can be worn every day of the year. 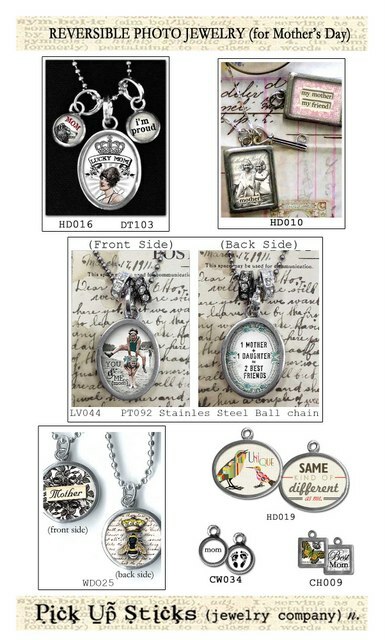 You’ll find more at www.pickupsticks.net – we’ve just given you a small sampling of our inspirational line here. 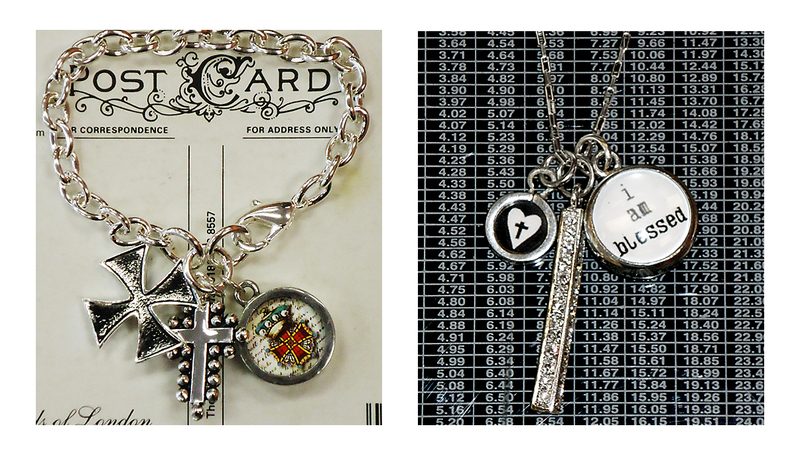 We’re pleased to have created these beautifully chic reminders of your faith and enduring optimism. Happy Easter everyone!